‘Advanced Formula’ larger Nut that is impregnated with a secret formula and is also scented. Sinks quickly through the water column and is ideal for deeper water, faster currents and a quicker sink rate. 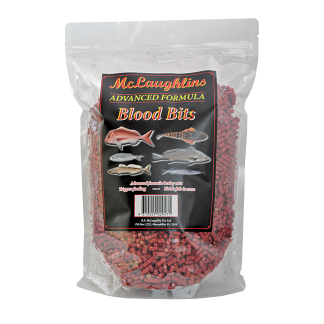 ‘Advanced Formula’ smaller pellet that is impregnated with a Blood Red secret formula that colours and also scents the pellet. Creates a Blood Red trail through the water along with a powerful scent! ‘ Advanced Formula’ smaller pellet that is impregnated with a Green secret formula that colours and also scents the pellets. Creates a Green trail through the water along with a powerful scent! 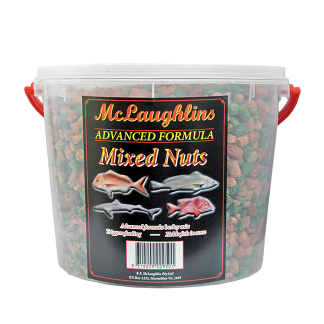 ‘Advanced Formula’ smaller pellet that is impregnated with a secret formula that colours and also scents the pellets. Creates a Mixed colour trail through the water along with a powerful scent! 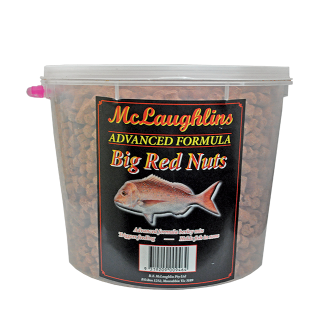 ‘Advanced Formula’ larger pellet that is impregnated with a secret formula that colours and also scents the pellets. Sinks quickly through the water column and is ideal for deeper water, faster currents and a quicker sink rate. 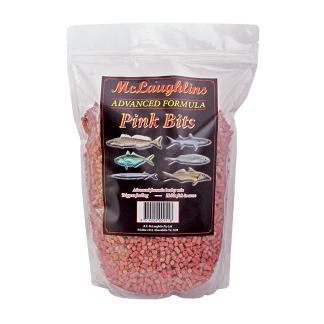 ‘ Advanced Formula’ smaller pellet that is impregnated with a bright Pink secret formula that colours and also scents the pellets. Creates a Pink trail through the water along with a powerful scent! A small berley pellet. Deadly on Southern Black & Yellowfin Bream. 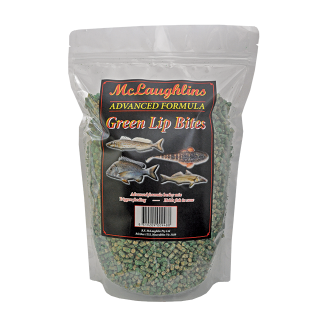 McLaughlin’s special secret formula mix that has an irresistible smell that these fish crave. Creates a fish feeding frenzy! Small pellet berley that sinks quickly through the water column. 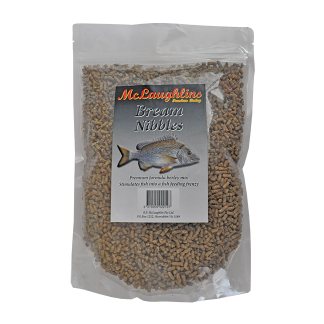 Ideal for a variety of Freshwater species. 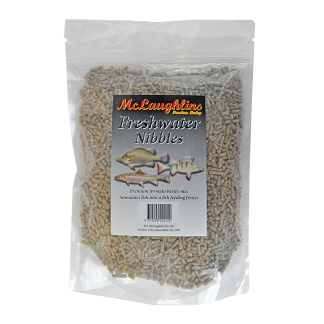 McLaughlin’s special secret formula mix that has an irresistible smell that Freshwater fish crave. Creates a fish feeding frenzy! A smaller berley pellet with dust and crumble that floats and sinks slowly. 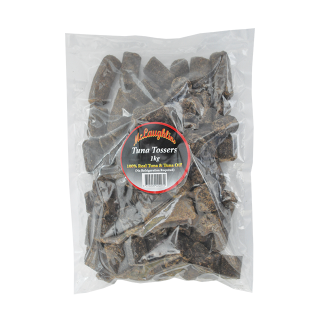 Ideal for Garfish, Mullet, Tommy Ruff and Mackerel. 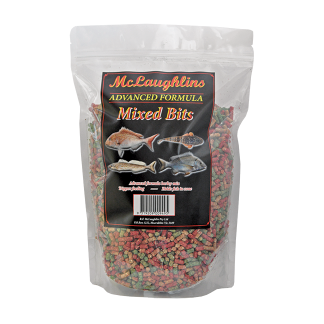 McLaughlin’s special secret formula mix that has an irresistible smell that surface fish crave. Creates a fish feeding frenzy! Small pellet berley that sinks quickly through the water column. 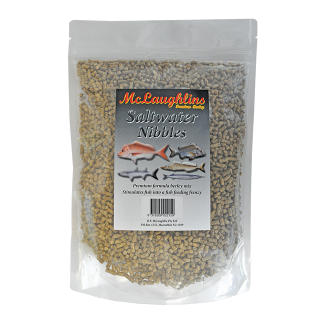 Ideal for a variety of Saltwater species. 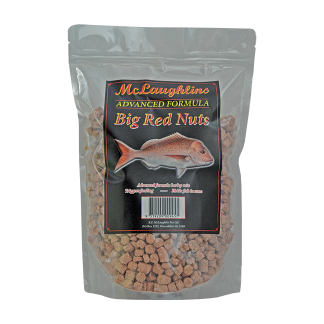 McLaughlin’s special secret formula mix that has an irresistible smell that Saltwater fish crave. Creates a fish feeding frenzy! Super large berley nut that sinks quickly through the water column. Ideal for deeper water, faster currents and a for a quicker sink rate. 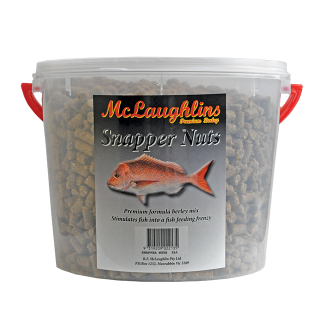 McLaughlin’s special secret formula that has an irresistible smell that Snapper Crave! 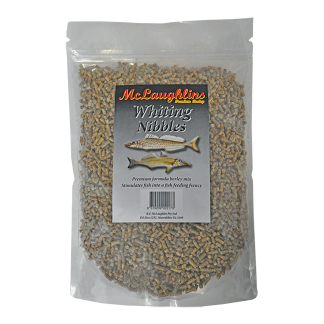 A 7mm Floating Pellet that is fed to Trout in Trout Farms. High Potency. 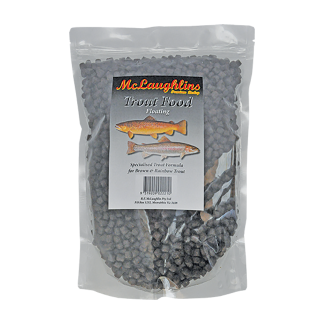 Ideal for Brown, Rainbow & Brook Trout as well as Chinook Salmon. Deadly in stocked Rivers and Lakes. A small berley pellet. Deadly on King George, Yellowfin and Sand Whiting. 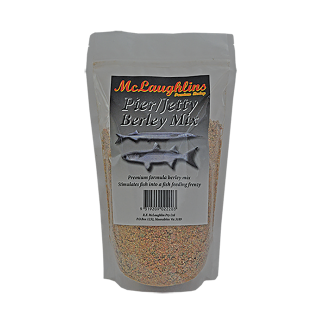 McLaughlin’s special secret formula mix that has an irresistible smell that these fish crave. Creates a fish feeding frenzy! A compressed 100% Tuna and Tuna Oil berley that has an ultra slow release and amazing oil slick! Ideal for use in Wire and Plastic Berley Pots and in fast currents. 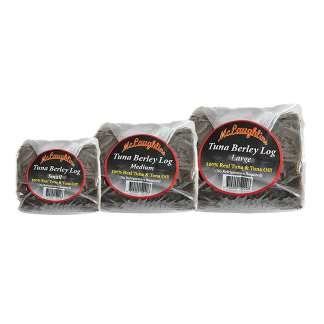 A compressed 100% Tuna and Tuna Oil berley extra large nut that has an ultra slow release and amazing oil slick!